A divorce after emotional infidelity is a major undertaking. Just as with any major undertaking, you should prepare beforehand. Here are 14 steps you should take before filing for a divorce. Smart Way #1: Save up liquid funds. You will need to save money to hire a lawyer. Also, you may need to move out of the matrimonial home after the emotional infidelity, in which case you will need a deposit of first and last month’s rent, or a downpayment on a new home. Smart Way #2: Retain a good divorce lawyer when you decide to end your marriage post emotional infidelity. If you have an electrical problem, you call an electrician. If you do not, you might get electrocuted. If you have a problem with your car, you call a mechanic. Otherwise, you may find yourself stranded in the middle of rush hour. Likewise, if you’re considering divorce, hire a good divorce lawyer. A skilled divorce lawyer is a professional trained to understand the process, know the obstacles and guide you as smoothly as possible through the divorce process. Smart Way #3: Evaluate joint bank accounts. Your spouse might simply take all the money in your bank account, leaving you with no cash. This can be a real problem after emotional infidelity because even if you have lots of assets, they will not be in liquid form. You have three options when dealing with a joint bank account. The first option is simply to do nothing. The second option is to take half the money in the bank account and put it in a separate bank account for yourself. The third option is to take all the money in the joint bank account and to put that in a separate bank account for yourself. 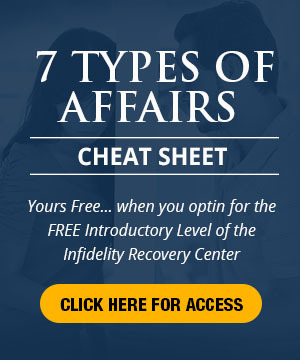 Which option you should choose depends on your personal situation, like if you are dealing with emotional infidelity for instance, and on the personality of your spouse. For instance, if you are a stay-at-home mother, with no other sources of income, it may make a lot of sense for you to take all the money in the account to provide you with a reserve fund of cash. However, normally taking all the money in the bank account will not be to your advantage, as it will make you look bad. In these circumstances, simply taking half the money in the joint bank account may make the most sense. Regardless of which you choose to do, the main point is to consider the issue carefully. Smart Way #4: Evaluate joint credit cards, lines of credit and other liabilities. If your spouse goes on a spending spree, you could be liable for part or all of the money that he or she spends. You can protect yourself by cancelling all joint credit cards, lines of credit and other joint liabilities. Smart Way #5: Gather and organise financial records and put them in a safe place. This includes making an inventory of valuables such as safety deposit box contents, jewellery, artwork and silverware. If you suspect that your spouse may be hiding assets, review all mail coming into your house and make a list of the sender and return addresses, especially if the mail is from a financial institution. Smart Way #6: Change your will, life insurance, pension and RRSP beneficiaries if you decide to divorce after emotional infidelity. If you were to pass away without doing this, then your spouse may inherit all of these monies, contrary to your wishes. Smart Way #7: Sever any property held in joint tenancy with your spouse. Otherwise, if you pass away, your spouse will own your home, contrary to your wishes. Smart Way #8: Keep a journal. Having evidence to support your case is critical. It is important to keep a journal of the important events relating to your divorce. These include interactions with your spouse and children. When making decisions about children, the court’s guiding principle is the child’s best interests. Thus, when writing about your children, it is important to do so from the child’s point of view. For instance, if your spouse is late in returning the children from an access visit, instead of writing about how terrible your spouse is to do that, write about what effect the lateness had on the children. Did it mean that they got to bed late and could not concentrate the next day at school because they were tired? Smart Way #9: Anticipate your post-divorce financial condition. If necessary, go back to school or seek employment. Smart Way #10: Take good care of yourself post emotional infidelity. A divorce is one of the most stressful situations that you will ever go through. You must make sure that you are in as good shape as possible — both emotionally and physically — before you start the divorce process. Smart Way #11: Establish a good support system. Your divorce will be one of the most stressful events in your lifetime. By having the help of friends, family or a counselor after emotional infidelity, you are better equipped to get through this difficult process. Smart Way #12: Learn the basics of your country’s divorce law. Knowledge is power. The better you understand the legal process and the divorce laws, the more reasonable your expectations will be. Smart Way #13: Develop a track record of being involved in your children’s lives. When it comes to deciding child custody, the parent who was the primary caregiver prior to separation is at a big advantage. If you wish to have child custody, then make sure you are the one who is the children’s primary caregiver. Smart Way #14: Make sure your spouse is working. If your spouse is out of the workforce – regardless of the reason why – chances are that you will be found to have agreed with this. 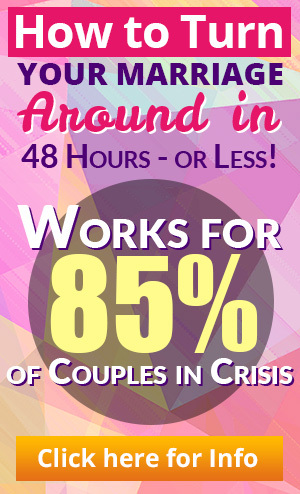 And if your spouse is not working, chances are that you’ll need to pay spousal support. If you are considering divorce — or have already made your decision — you’re invited to call us. We’ll explain how you can protect your legal rights, reduce the expense of divorce, and protect your children from undue emotional stress. Also, if you would like to discuss legal services in other areas of divorce and family law, you’re invited to call us toll-free at 1-888-832-2456, or e-mail us at Jeffrey@OttawaDivorce.com. © Copyright 2001-2003 by Jeffrey Behrendt. All rights reserved.